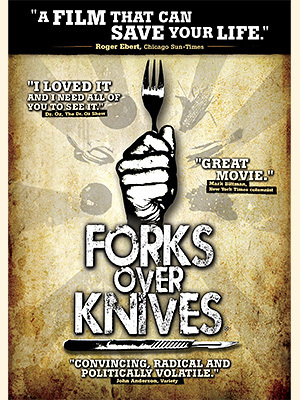 Forks Over Knives, the movie, is indexed no less than four times in The Plant-Based Journey. Which makes perfect sense. As Journey is a guidebook for transition to a plant-based lifestyle chock full of real-life stories about others who have successfully transitioned to plant-based living, hearing Forks Over Knives mentioned as intial point of contact or moment of awakening is not uncommon. Perhaps you can say the same for yourself. 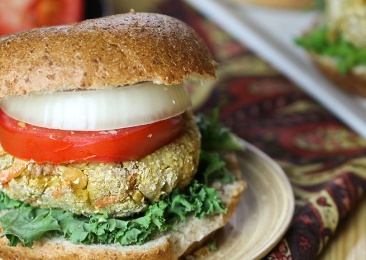 So when the fine folks at Forks Over Knives reached out to me a couple of months ago to tell me that they wanted to feature one of my recipe templates from The Plant-Based Journey – specifically the Plant Burger (aka Veggie Burger) – I was of course one very happy plant-eating author. And it just got better. 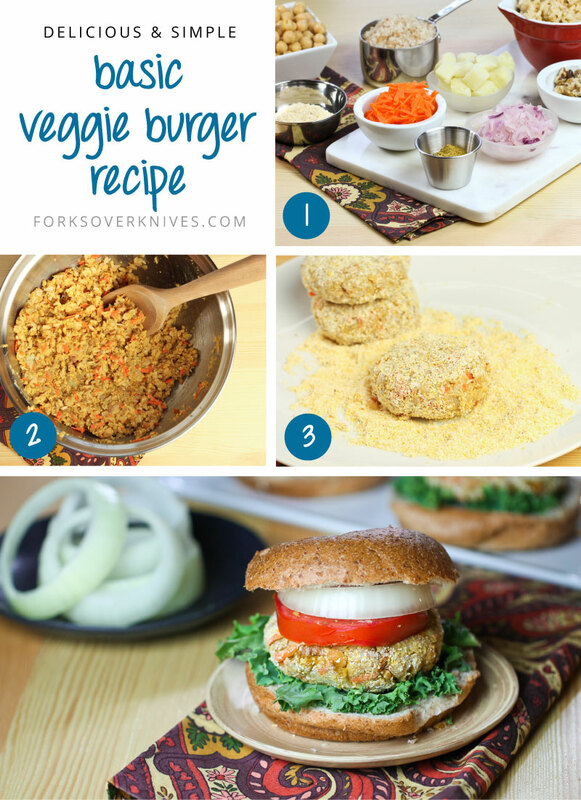 As we discussed dates for the feature at the Forks Over Knives website, there was a delay or two because, as they told me, they were a little backlogged in their photography projects and, after all, they planned to professionally photograph the Veggie Burger for their feature. My humble little Plant Burger was to have a photo shoot! What you see here is the result of that project. 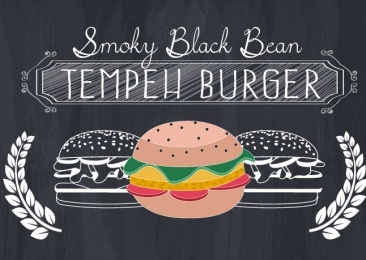 Along with the completely charming graphics that they made for all the variations on Journey’s Burger Template: the All-American, Mexican, Indian, and the Deluxe Black Bean Smokey. Along with the step-by-step graphic. 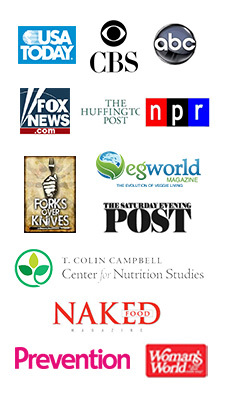 Images that you see here on this page – and each of them links to the page on Forks Over Knives where you can find template details, so you ‘ll always have it within reach. 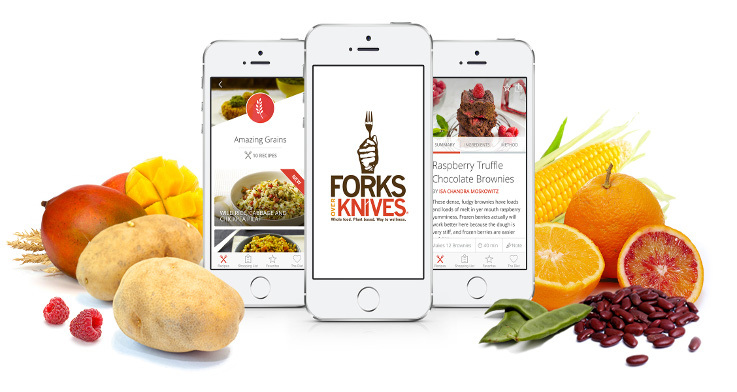 These recipes can now also be found on the Forks Over Knives App. Journey is – shall we say – on a new leg of her journey. Thank you FOK! PHOTO CREDIT: Brandi Doming for Forks Over Knives. Thank you Brandi! 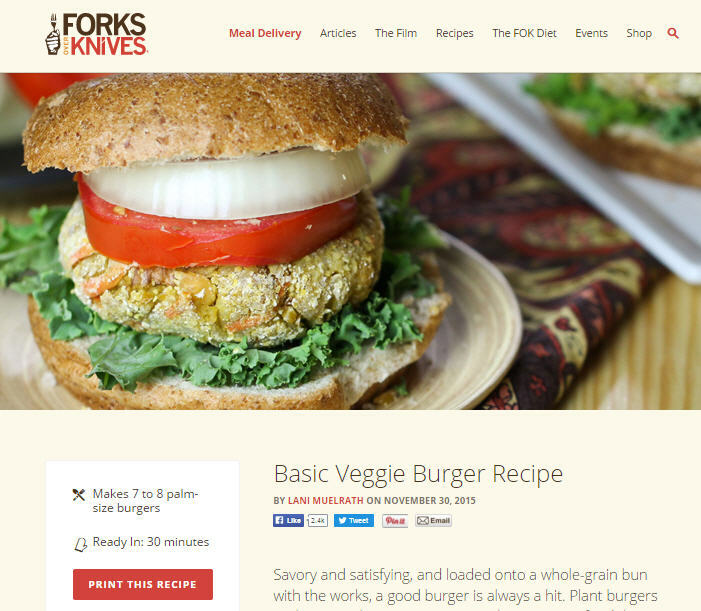 Lani, this is such a great display on Forks Over Knives! 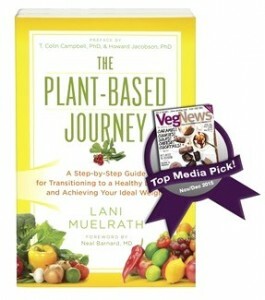 Congratulations to you and your book on this well-deserved recognition. I love your book and though I’ve made some of your recipes (with fabulous result!) 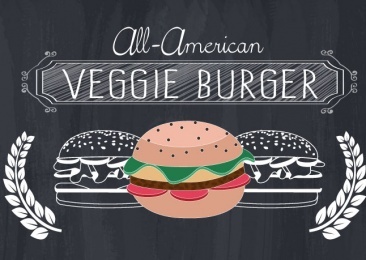 I have tried the burgers yet and this has inspired me to do just that. Now to decide which variation. I am glad you posted this right away in your newsletter too. woohoo! Shannon, thank you , didn’t they do a great job? Now I can’t wait to find out which burger you try first. Promise to report in! Thank you James, your coming by to leave such a wonderful comment means so much to me. 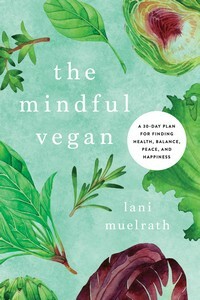 That is so cool Lani – congrats!! And I agree they really did a beautiful job. Hey Barbara – glad you got a chance to take a look and give it your five-star approval! Thanks for stopping in and for your enthusiastic support of Journey! I am loving the book!! That’s so good to hear Barbara! Would love to hear more as you continue and thanks! Thanks for the template, Lani. Especially love your coating idea! 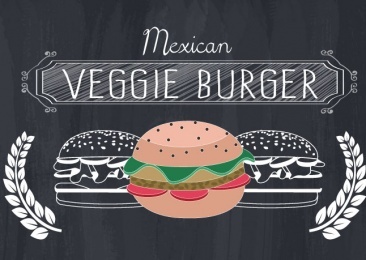 This is the perfect incentive to use up bits of veggies. Peggy, certainly! I was concerned that a couple of people on the FOK facebook page said that the burger looked too ‘dry’ – not understanding the fresh idea of the coating for great surface texture and to lock moisture in! Fortunately the test chef who made the burgers for the FOK piece jumped in to describe the coating idea and how moist and delish these burgers actually are. Let me know what you come up with, OK? Can’t wait to hear more! Congratulations, Lani! You deserve all of the good things happening because of your hard work. I’m with Shannon. I have to decide which one to try first. Hi Jacqui, thanks for your note. Here’s the way I see it – we’re all in this together! Thanks for being one of the agents for change!